Kellen Mond accounted for 329 yards and seven touchdowns as Texas A&M (8-4) held off #7 LSU, 74-72, in seven overtimes. Mond’s two-point conversion pass to teammate Kendrick Rogers was the game-winning score. Mond passed for 287 yards and six touchdowns and added 42 rushing yards and one more score. 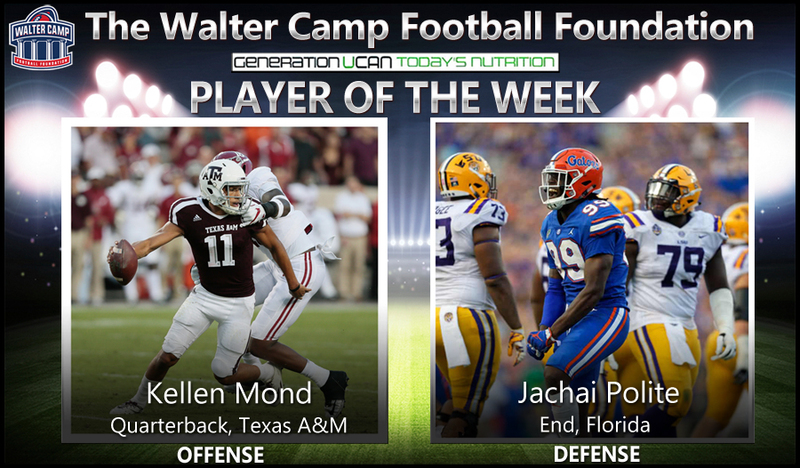 Notes: Kellen Mond is the 10th Texas A&M player to receive Walter Camp National Player of the Week honors since 2004, and the first since former Aggie QB Trevor Knight (Oct. 8, 2016). Jachai Polite recorded six tackles (4 solo), including 3.5 for losses and 2.5 quarterback sacks as Florida defeated Florida State, 41-14. Polite added one forced fumble and one quarterback hurry as the Gators improved to 9-3. Notes: Jachai Polite is the ninth Florida player to earn Walter Camp National Player of the Week honors since 2004, and the second this season, joining defensive teammate Vosean Joseph (LB, Oct. 7). Generation UCAN (@GenUCAN) is healthy sports nutrition powered by a unique, slow-burning carbohydrate called SuperStarch. UCAN’s drink mix provides steady energy, allows you to burn more fat for fuel during workouts, and helps you recover efficiently compared to sugary sports drinks or a high carbohydrate meal. UCAN contains no added sugars, no caffeine, and is gluten-free. SuperStarch was originally designed to help children who suffer from serious energy imbalances and now fuels some of the top athletes in the world – ranging from professional football players, to Olympic runners, to everyday athletes striving for fitness. 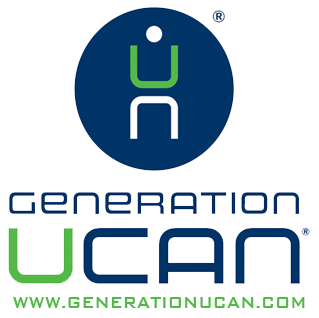 The UCAN Company is based Woodbridge, CT. Visit www.generationucan.comfor more information.